Sayako and Miyuki both attend a high class private religious all-girls school, and one of the bonds of their friendship is that neither of them come from a prestigious family. One day, Sayako confides to Miyuki that the teacher Honda-sensei is sexually abusing her. When Sayako hears a school legend that involves asking a demon to curse someone to die, she and Miyuki investigate the possibility. Miyuki, an atheist, doesn't really believe in the idea of curses, even though she has a schoolmate, Yuko, who has supposedly used this method to have someone killed. Nevertheless, she supports Sayako in carrying out the ritual, in the hopes that it will give her some peace. However, after they speak with Yuko, they must face the fact that the curse may be dangerously real, and may carry with it horrific consequences. Miyuki's world is quickly spiraling into a nightmare! 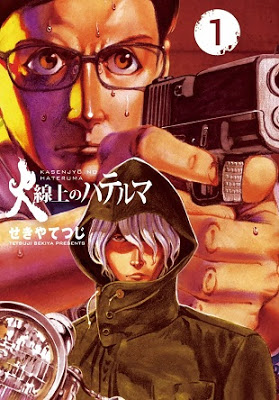 Kyouji is a cop in Japan until one terrible day, when his hesitation to fire his gun allows a spree killer to murder 8 people and injure more. When Kyouji is recovered from his physical injuries, he moves to Los Angeles. He is barely there and settled before he is present at a shop where a man is murdered by a gun-toting gang. This time, when faced with violence, he manages to save the man's young son, Christian Sanchez. The gang is determined to hunt down the child, but Kyouji is just as determined to protect him. He goes to a sketchy local Japanese man, Hateruma Takeru, to acquire the weapons and knowledge he needs to protect Chris. Maybe this was why his life was spared on that deadly day in Japan! "Hello, it's Inokawa. I will be partly drawing on everyone's personal experiences as inspiration. The truth is, I have also experienced similar things. If I had to give it a name, a sixth sense. I tried my best to avoid places that felt unpleasant, but there are some places I just could not avoid." 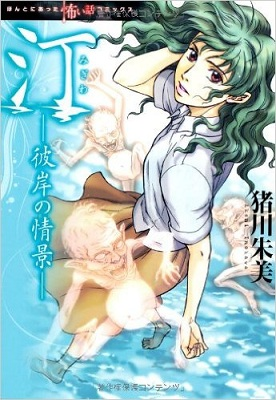 Migiwa is a depiction of the mysterious and supernatural, as experienced by readers and the author herself. Inokawa takes us back to the time she spent in college, and describes tales of ghouls, kappas and strange apparitions and the chilling spiritual happenings that occur in her campus life because of them. Thanks go to Kamas for the summary. 17-year-old Iguchi Tatsuya has just been released from juvenile detention and is on probation. He's been relocated to a new area, away from the bad influence of his old friends, and is under the care of his aunt. He is determined not to be sent back to lockup, and he works hard in his aunt's restaurant. However, he still has the same personality, the same tendency to violence, and still falls in with the same sort of people. It's going to be difficult for him to stay out of trouble. Nakamura Kano is an OL (office lady) with a secret… she’s a “Toku Otaku,” a tokusatsu otaku who is obsessed with live action dramas of heroes, monsters and robots. She thinks they’re “JUST TOO COOL!” She’s so obsessed that she skips out on drinking with colleagues to watch it on TV and collects the DVDs, books and figurines. She lives her life by the code of the tokusatsu heroes, and constantly imagines them to help her through difficult situations. But this isn’t easy when all of her co-workers think that people who like anime and other childish things are weird, and they keep trying to make her socialize. Thanks go to Niffer for the summary. There were some really interesting ones this week. Jorougumo no Kotowari seemed like a very well-written story, and since it's based on a novel I expect it will probably not be a very long series. It has some pretty mature stuff in dialogue, but at least as far as I got it was not particularly graphic (though there are some corpses, it is about murder after all). Kasenjo no Hateruma was also an engaging story, of the non-supernatural variety, even though I felt like the depiction of Los Angeles was over the top. 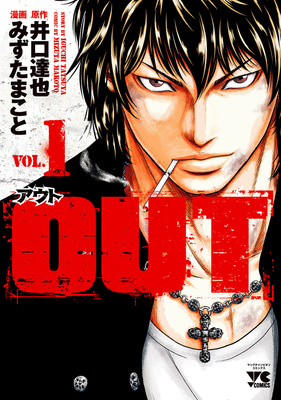 Out is definitely firmly in the delinquent genre, for those who enjoy those kinds of stories, and I thought the art was pretty good. For Migiwa, there's an interesting sway between horror, mystery and wonder. It won't keep you up through the night or give you bad dreams, but I would still recommend it to horror fans and ghost story lovers. 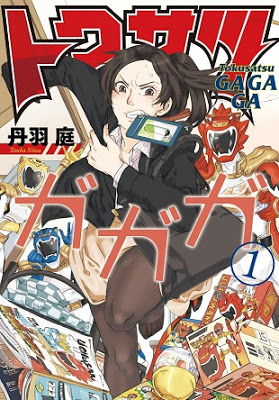 Tokusatsu Gagaga is a really fun manga that’s great for people who love tokusatsu like Giant Robo, Ultraman and Super Sentai. Also great for anyone who’s introverted and has to hide their hobbies from their co-workers/class mates. 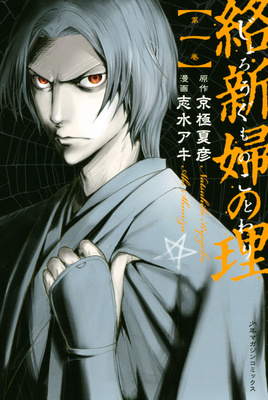 Out - If you like delinquent-type manga like GTO or Ino-Head Gargoyle, you may like this manga. Tokusatsu Gagaga - If you're interested in seeing an office lady being obsessed with live action robots, heroes, etc. then you should check this manga out. If you haven't done so already, check out the scanlations of the manga from previous shout outs which have been recently scanlated: school life mystery SSS! (MH link).